Clth, 11 x 13.75 in. / 252 pgs / illustrated throughout. Edited by Dennis Freedman. Interview by Jeff Rian. 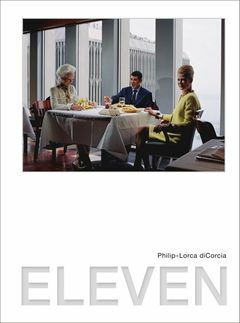 Philip-Lorca diCorcia was born in Hartford, Connecticut, in 1951. He received his MFA in Photography from Yale University in 1979. DiCorcia's work has been the subject of solo shows at The Museum of Modern Art, New York, the Institute of Contemporary Art, Boston, the Centre National de la Photographie, Paris, Whitechapel Art Gallery, London and the Museo Nacional Centro de Arte Reina Sofia, Madrid, among others. He has been named a Guggenheim Foundation Fellow and has received multiple grants from the National Endowment for the Arts. His work is included in the collections of the Bibliotheque Nationale de France, The Museum of Modern Art and the Metropolitan Museum of Art, among others. His previous books include A Storybook Life (2003) and Thousand (2007), a collection of Polaroids that was exhibited at the Los Angeles County Museum of Art. 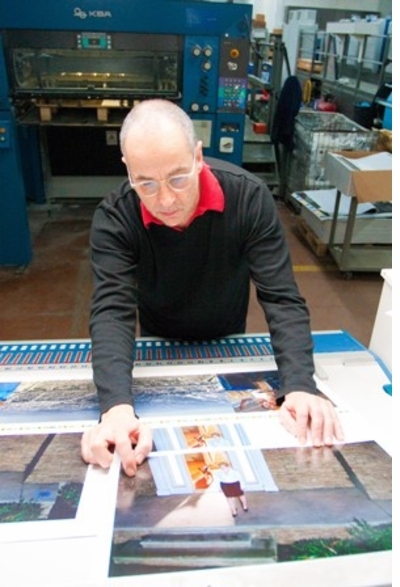 DiCorcia lives and works in New York City. Featured image is reproduced from Philip-Lorca diCorcia: Eleven. These pictures are very different in location and in their most visible "story." What they share is their field of depth, the sense that there is some much bigger, stranger story present in them which diCorcia has allowed us to apprehend much as we briefly apprehend, often without knowing or caring about it, the inner life of a stranger or the humming inhuman life of nature. Most obviously, his focus is on the cool social structures, the hot individuality of human life—but the elemental, as it is physically expressed, visually glimpsed but finally unknowable, is quietly, magnificently present in his work. It is mysterious, who the bruised woman is and what has happened to her. It's more mysterious that she may previously have walked down this street every night, feeling nothing in particular, making her way with countless others through the darkness, mass and beautiful, terrible light of the world which has, in this picture, been made visible by an accident or crime, and yet which is always there. Mary Gaitskill, excerpted from Philip-Lorca diCorcia: Eleven. Early last month, noted American photographer Philip-Lorca diCorcia traveled to Bologna to go on press with Andrea Albertini, publisher of the Damiani imprint, and Dennis Freedman, editor of the new Freedman Damiani imprint, to oversee the printing of Eleven, diCorcia's highly anticipated book of photographs realized for W magazine while Freedman (now the creative director of Barneys New York) was creative director. FORMAT: Clth, 11 x 13.75 in. / 252 pgs / illustrated throughout.